Have you heard about all the tempting Cape Winelands events and festivals that will take place this summer in Stellenbosch and the surrounding wine estates? Wine tastings, family picnics, fresh food markets, carol concerts and festive atmosphere galore! Only a mere 40-minute-drive from Cape Town's city center, you can enjoy the clear - and sometimes warmer - air and relaxed countryside feel when you visit the region's festive events. 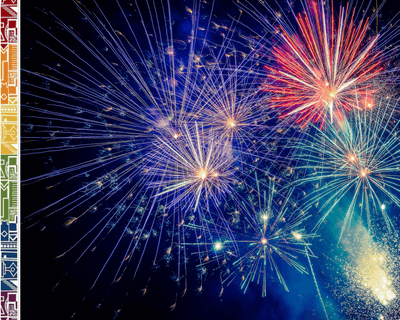 And if you are as lucky as we are to live in this lovely part of the world, make the most of the special summer celebrations in the various estates and enjoy some of the finest food and wines in the Cape winelands! Now take your time to scroll down through the many fantastic events of the Cape winelands or bookmark this page for further reference. 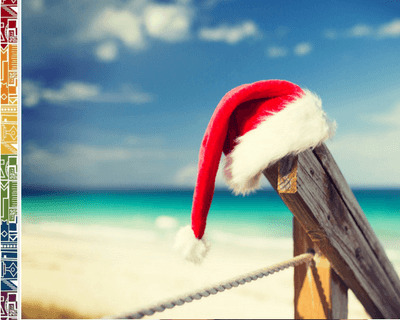 Wishing you a wonderful festive season! Stellenbosch Street Soirees see local wine farms and restaurants putting on a party for locals and visitors alike in the town streets. Catch them every second and last week of the month from November till March from 18h00 to 20h00. How much? R70 for a tasting glass - unlimited wine tasting. Food and Wine also on sale. Wine Garden Live Music Wednesdays at Neethlingshof have already kicked off and run through the summer season till March 2017. Happening every Wednesday evening from 5pm to 8pm, popular acoustic guitarist, Francois Haasbroek sets the scene for a mid-week wind down in the wine garden. Visitors can order cheese and charcuterie platters. Night Run Series - the final event will be held at Neethlingshof on Thursday, 8 December. There will be wine tastings, good food and live music and it is family friendly. For more information on entry costs and race distances, contact 083 267 8164 or visit their Facebook page (Amoija Events). Head to Alto Estate for their Steak and Shiraz Saturdays on the first Saturday of every month. Each event sees select cuts of steak paired with a complimentary glass of Shiraz to be enjoyed over the estate’s generous views. Live music will be performed by a local artist between 12h00 and 15h00. Cape Winelands Events: What's on at Spier this festive season? 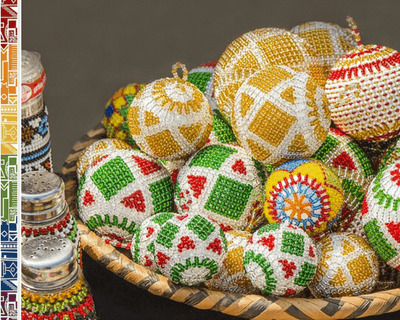 Spier Festive Werf Market is back! Visitors sip on glasses of wine and tuck into tasty gourmet treats. Kids roam the lawns or browse the special Kids’ Market. There is a wide range of gifts for friends and family, as well as locally grown fresh fruit and heirloom vegetables to take home. When? 16 - 19 December 2016 | 21 - 24 December 2016 | 26 - 30 December 2016. ***Friday nights spend enjoying potjie and African drumming. Grab a spot on a hay bale around a roaring fire and listen to African beats while delicious potjie stews bubble away. These will be served with breads and veg, followed by fresh fruit and African-inspired desserts on 16, 23, 30 December and 6 January. ***Saturday, it’s time for Karoo Lamb spit braai and the sounds of a jazz duo. 17 December 2016 | 7 January 2017. ***Sundays are the perfect scene to enjoy a traditional Sunday roast on the lawns whilst watching a movie (18 Dec, 1 and 8 January). Or feast on a picnic while watching a classic family flick on the Spier Werf lawns with a glass of wine in hand. Prebook your picnic basket for 2 adults and 2 kids including a bottle of Spier signature wine at R500, gates open at 18h00, movie starts at 20h30. Book your movie ticket (R100/R70) at Webtickets. Movies on 10 December 2016: The Incredibles | 17 December 2016: Tangled - movies are also screened at various other dates. Check the schedule and book your movie tickets here. How much? R350 for adults and R150 for children. Book here. 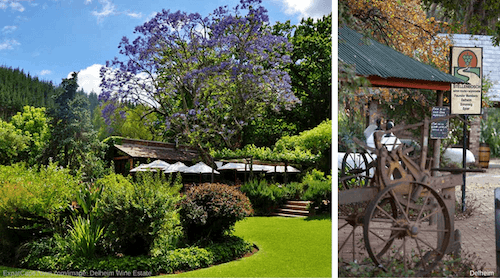 Take a magical Steam Train Day Trip to Spier. Hop on the train in Cape Town and experience a leisurely ride through the Cape winelands. Travel in a vintage wooden coach dating from 1922 ending in a visit to one of the oldest wine farms in South Africa. Taste five wines, visit the Eagle Encounters and enjoy lunch at one of our restaurants. Spend the day relaxing on the banks of the Eerste River and explore the Protea gardens and historic buildings before returning to Cape Town in nostalgic style. When? 4 and 11 December 2016. The train departs Cape Town at 09h30 and returns at 16h50. How much? The cost is R500 per adult and R400 per child between the ages of 3 and 12 years old. More info. Hartenberg Wine Estate’s courtyard or riverside picnic style lunches set the scene for long, lazy days as kids enjoy the play area alongside the river bank. Choose a table under the trees or lounge on plump cushions on the lawn with a picnic basket. For a more formal dining experience, Hartenberg’s summer inspired courtyard menu is perfect and a kiddie menu for the under 12’s is available on request. This season, visitors can also book the five-star Hartenberg Celebration Table for a minimum of 10 and a maximum of 25 guests. Expect a festively decorated table with all the trimmings, excellent food and wine. When? All summer long. Call 021-865 2541 or book with Johann at the Cape winelands estate: contact him here. 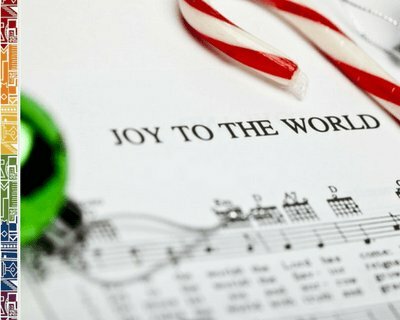 For more Christmas concerts click here. Father Christmas will once again be making an appearance on his tractor at Middelvlei Wine Estate’s annual Sunset Carols. As the sun sets over the Middelvlei dam in the Cape winelands, there will be carol singing while Steakbraai is served and Father Christmas delivers the presents. The Sunset Carols event will be in benefit of Stellenbosch Youth Outreach. How much? Adults R170 (Steakbraai included) | Children under 12 - R70 (includes a snack pack) | Bring a gift for your child from Father Christmas! Delheim Estate’s picnic experience is set at the edge of the Klip River with its abundant bird life and includes a basket of all things homemade and share-worthy for R460 per couple. Children’s baskets are available at R100 and includes home-baked cookies, which the kids can immediately set about decorating. Delheim’s Garden Restaurant, with views of the farm and Table Mountain in the distance, is also in full summer swing. Its brand new menu eschews the elaborate and echoes the simple tastes and sublime flavours inspired by the greens from the new organic vegetable and herb garden on the estate. When? Picnics available until April 2017. Booking mandatory at the restaurant on 021 888 4607 or contact them here. How much? R460 per couple, children's baskets at R100 incl. home-baked cookies, which the kids can immediately set about decorating. 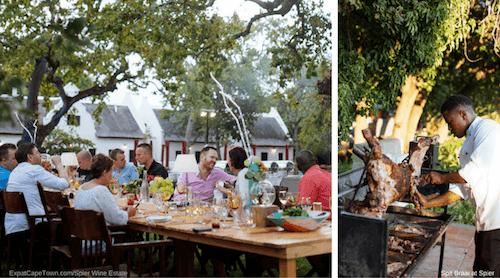 Summer Bites at Stellenbosch Vineyards: Your tastebuds are in for an interesting treat as salted caramel puff is paired with Credo Chardonnay and Wagyu Beef Biltong is matched with Credo Shiraz and SMV – and more. For more about the wine pairings and other events ahead, contact them 021-881 3870. When? This special summer tasting menu will run until end of March 2017. How much? R95 per person. Already known for their generous picnics, a new pop-up restaurant called Pikant @ Uitkyk Wine serves fresh salads and summer favourites. The menu also includes a perfect serve of tapas and top wines. There is even a fun, tapas menu for busy kids. How much? Call 021 884 4416 or contact them here. Source: Press Release. Thanks to Sascha from Rabbit in a Hat. For a range of ideas on where to eat, what to do and where to go, visit www.stellenboschexperience.co.za or curate your experience through the hashtag #visitStellenbosch. The country's oldest wine festival will move to a new venue at the Coetzenburg Sports Grounds in Stellenbosch. Enjoy gourmet food, excellent wines from 75 wine farms and 10 boutique wineries and listen to some awesome South African live music. Costs: R180. Book your tickets here.